If you’re in need of a vehicle that offers seating for seven passengers or more, Richard Catena Auto has the selection of safe, fuel efficient, and large family cars you’ve been looking for. Whether you’re interested in big family cars with all of the bells and whistles or a more budget-friendly used car, we have a number of the the best large family cars for sale in Teterboro, NJ. New vehicle pricing includes all offers and incentives. Tax, Title and Tags not included in vehicle prices shown and must be paid by the purchaser. While great effort is made to ensure the accuracy of the information on this site, errors do occur so please verify information with a customer service rep. This is easily done by calling us at (201) 288-1044 or by visiting us at the dealership. In addition, our financiers can help you research all available rebates and dealer incentives so you know you’re not paying a dime more than you must. With access to national lenders, they can also tailor a flexible contract to your unique monthly budget. 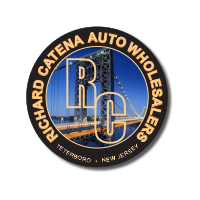 Finally, it takes one look at our vast and diverse inventory to see that you’re going to have a lot options when you choose to shop with Richard Catena Auto, so it should be easy for you to find your dream car at your price-point. We have plenty of large family cars available for you to explore! If you want to narrow down your search, compare the used Lexus GX 460 vs. used Acura MDX. Contact us today to take one of the large family cars we have for sale in Teterboro, NJ for a spin.